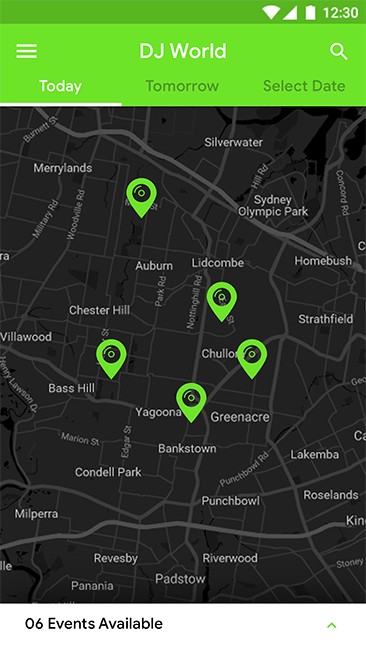 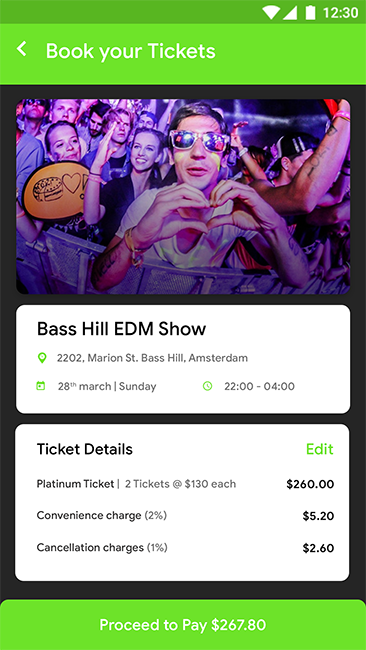 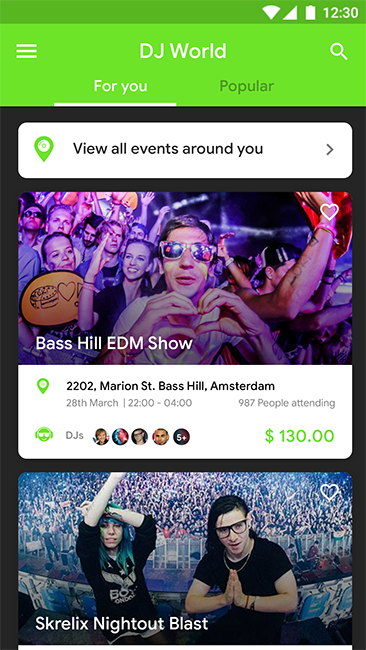 DJ World App offers list of DJ events in nearby areas and allows book event tickets as well. 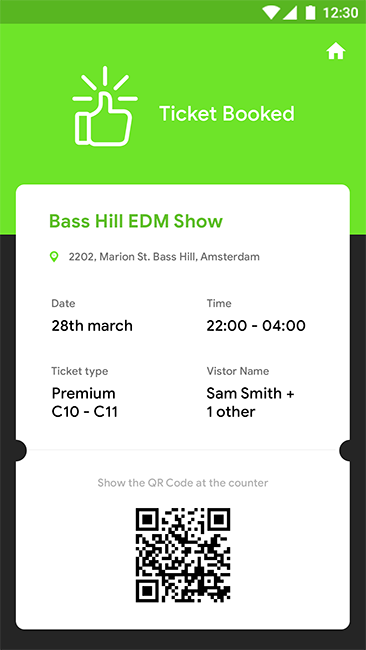 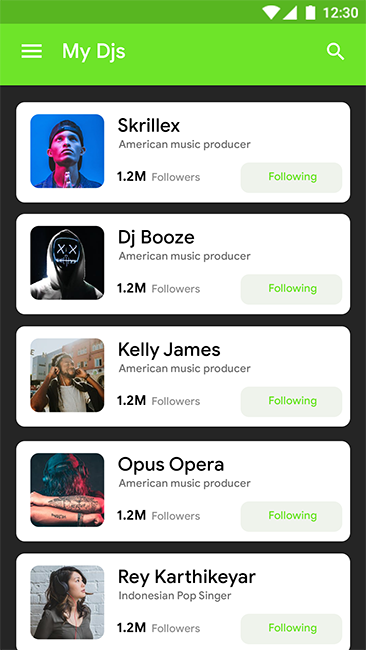 User can follow their favorite DJs and get updated with all events by them. 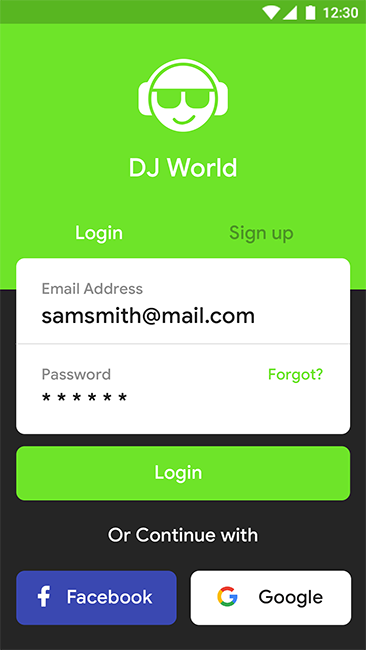 Slick and modern looking eye soothing app provides one place DJ & Booking solution where everything is in a tap away.